Once you have created a Custom Confirmation Email. You can set it to individual Pay-Per-View media. 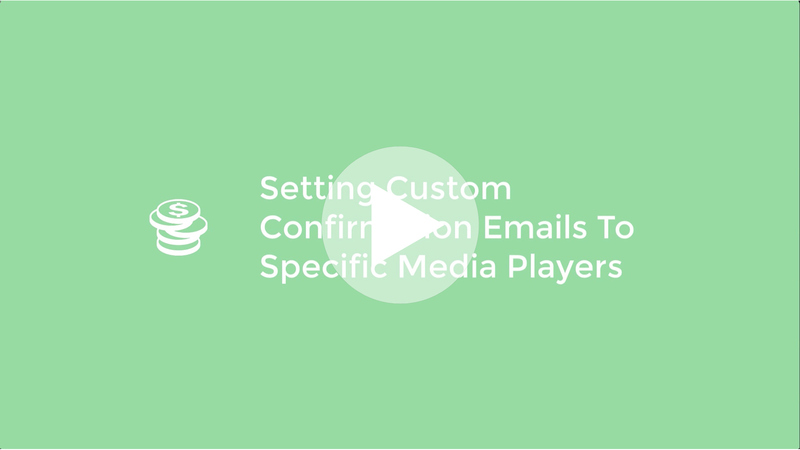 This is especially great if you manage multiple clients Pay-Per-View media and need to send separate Custom Confirmation emails depending on the clients videos that are being purchased. If you want to learn how to set and entire Pay-Per-View playlist to use a specific Custom Confirmation Email go to our tutorial here ->. If you want to check out some Pay-Per-View Demos and extra information please visit our Pay-Per-View information page. To set a Custom Confirmation Email to individual Pay-Per-View videos, you would simply go to your Media Section. Select the Pay-Per-View video you would like to change. With the Pay-Per-View enabled video selected click on the Monetize tab in the video settings bar. You have now set your chosen Custom Confirmation Email to your desired Pay-Per-View video.